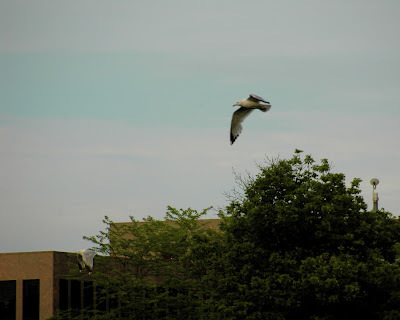 Here are a few photos of water birds in flight. I hope you enjoy. 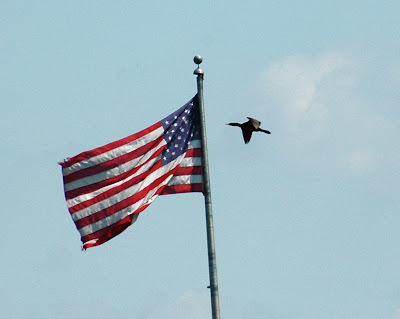 Double-crested Cormorant passes the American Flag. 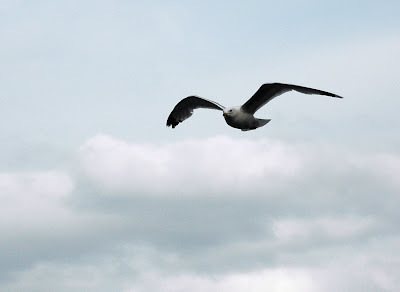 Gull flies over town. I always wonder what brings them so far inland. Thanks for stopping by, I hope you enjoyed these birds. Stop by my Flickr profile and take a look at my bird set to see more water birds and other birds. You can also see more of my work at my Artfire studio The Shutterbug Eye. Great Pictures. I love the last one :) Like an airplane..